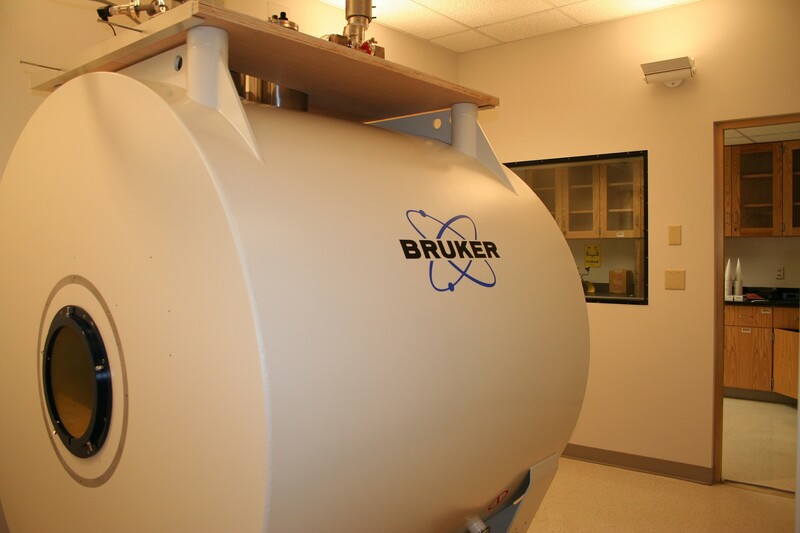 A modular laboratory concept for electrophysiology, molecular biology, biochemistry, imaging, scientific computing, electron microscopy, animal MRI and a veterinary resource facility. Phased alterations to the 4th, 5th, and 6th floors of Howard Hall as an advanced research facility for the School of Medicine. 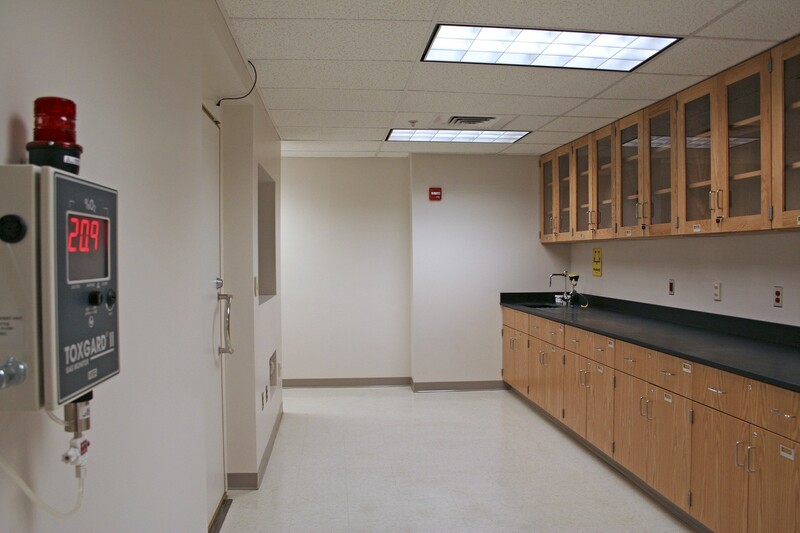 The Howard Hall project consisted of a phased/occupied renovation of 54,500 SF of laboratory/ research space. The first phase of design included the complete upgrade of the MEP systems for the 5th and 6th floors. The next phase was a renovation of the 5th Floor. 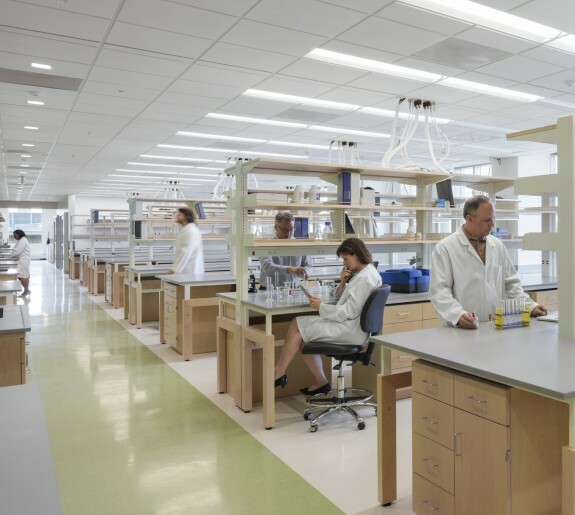 The existing research laboratories in the North Quadrant of the building (13,400 GSF) were completely renovated into new state-of-the-art research facilities for the study of genetics of asthma and complex diseases. 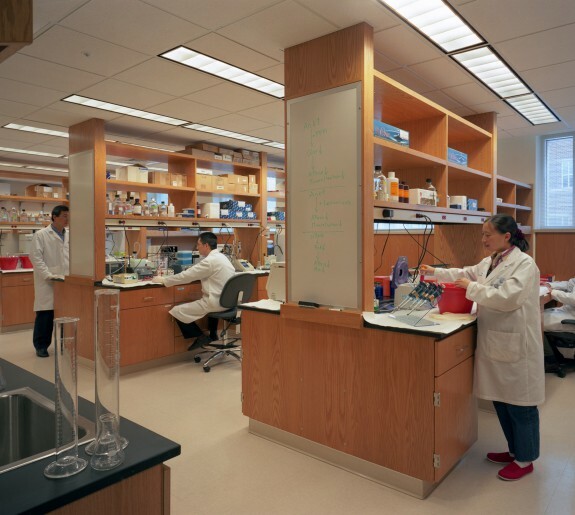 This research space serves as the nucleus of the School of Medicine’s Program in Human Genetics and supports the creation of a Human Genetics Institute by consolidating investigators, and support facilities. 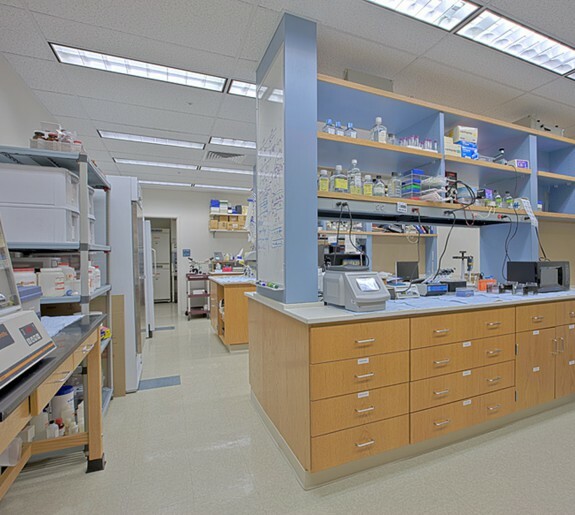 The renovated space contains both “wet bench” and “computer-based dry bench” medical research laboratories, lab support/core facilities, offices and conference space. Other support functions and infrastructure systems such as mechanical, electrical and data/communications were upgraded during the renovations and were extended to planned locations to allow connectivity during the following renovation. Renovations of the 6th Floor were designed to serve a new 12,500 SF Animal Care facility. 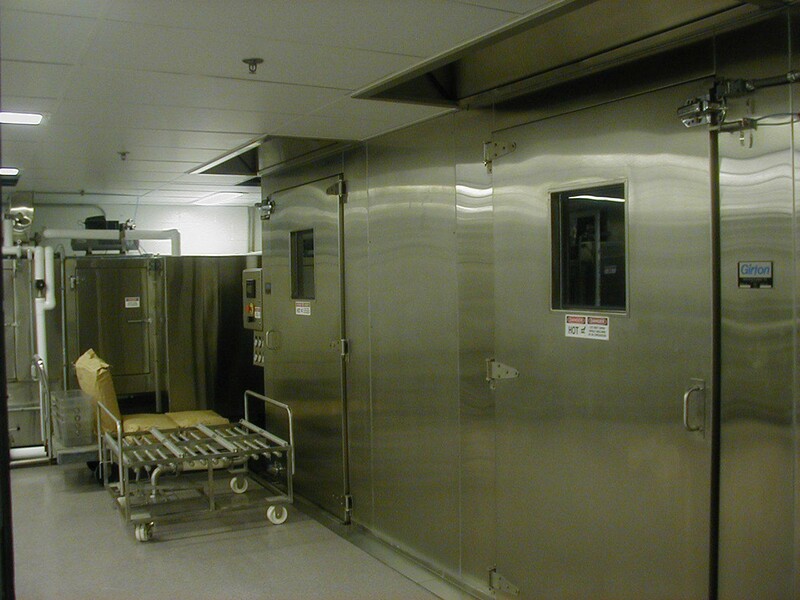 The Animal Biosafety Facility was fully renovated into a Biosafety Level 3 suite (BSL-3) complete with eight animal holding rooms and two procedure rooms. 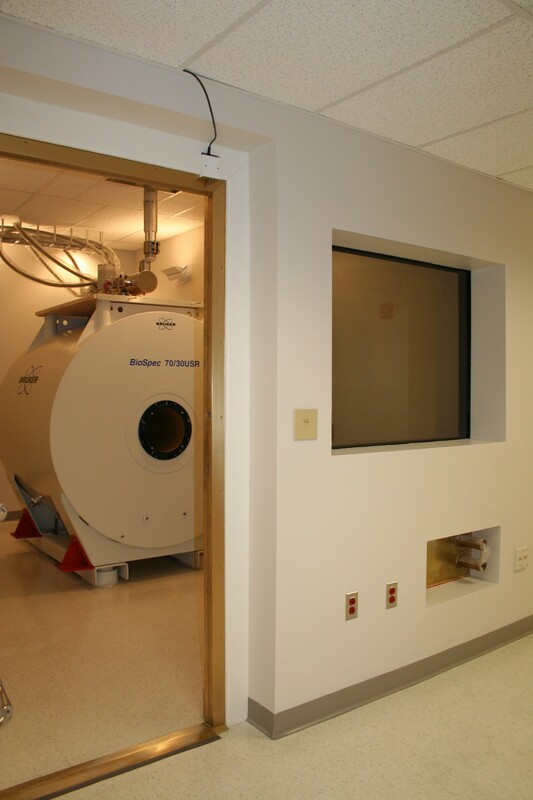 The Animal MRI Faility completed the Animal Care Facility provideing a 2,000 SF renovation for MRI procedures.